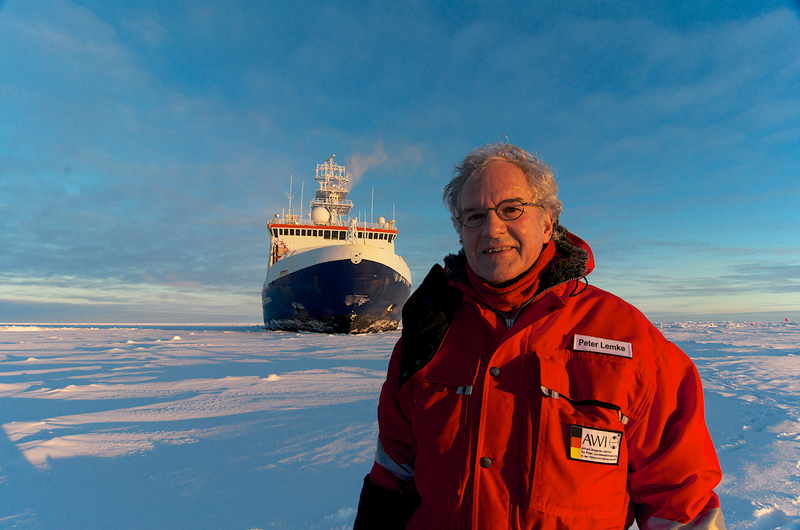 Peter Lemke, head of the Climate Sciences Research Division at the Alfred Wegener Institute, Helmholtz Centre for Polar and Marine Research in Bremerhaven, Germany, is an expert on sea ice, a polar explorer, and the Chair of the IIASA Council. In this interview Lemke explains how climate change is affecting the Earth’s polar regions, and talks about a recent winter expedition to Antarctica. On Monday, 11 November Lemke will give a public lecture on the topic at IIASA in Laxenburg. 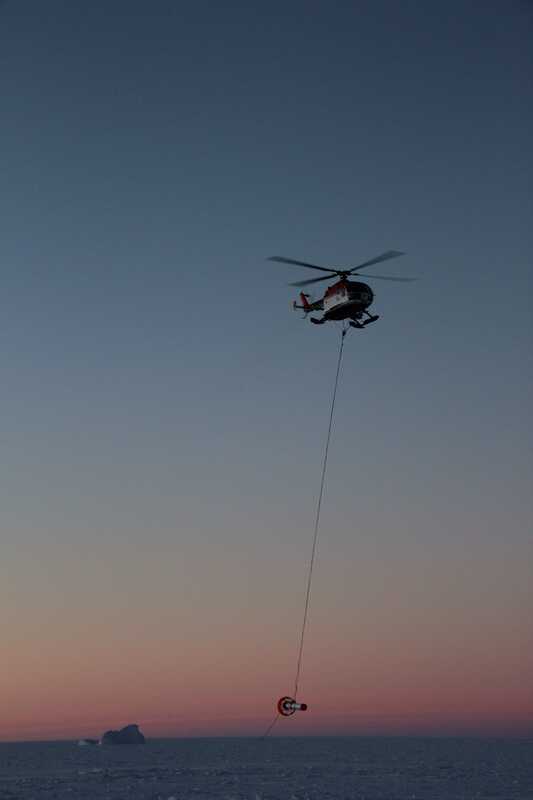 How did you get interested in the cryosphere? What drew you to the poles? When I was a young scientist, I was involved in climate modeling and especially the role of polar regions. For my PhD thesis I worked on sea ice extent data, trying to understand why we see changes. That was in the late seventies, so it was not really climate change which was driving us, we just wanted to understand the climate system. Polar regions are an important part of the climate system. We tried to understand how they impact the other regions on the globe such as mid-latitudes and even the tropics. 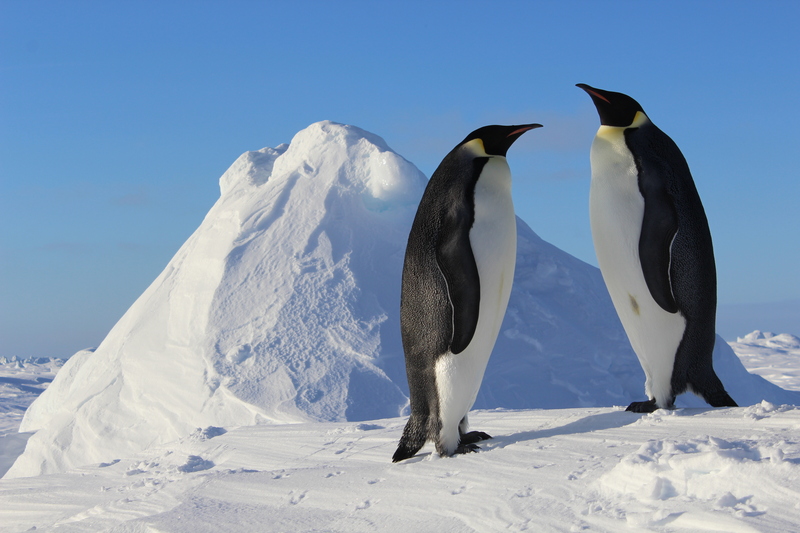 When did you realize that climate change was affecting the polar regions? Well the globe was already warming when I was starting my research in the mid-1970s. Sea ice was decreasing in extent, and ice was melting on the continents. Year by year, this trend became more significant. By the 1990s it was quite clear that there was a trend which was not just natural variation. The third IPCC report in 2001 just made it clear that man had an impact on the warming; at least a substantial part of it was due to increased greenhouse gases in our atmosphere. The changes we see now are even more dramatic than before, especially considering the Arctic sea ice. It hit a record low minimum in 2007 and we thought that this was the ultimate—as low as it would go. But then ice extent went even lower in 2012. While the ice extent this last summer was not quite so low, there is a strong trend in summer extent of sea ice. Our data indicate that it’s not just the extent but the thickness that’s changing. Measurements of sea ice thickness which our institute has performed over the last decade or so show a sharp thinning of the sea ice in the interior of the Arctic: The sea ice has thinned from an average of 2.5 to about 1 meter in only 10 years. The other thing that is interesting is that the sea ice extent in the Antarctic is not decreasing at the same rate. On the contrary, it’s increasing in extent slightly. The question is of course is the ice mass also increasing, or is it just spreading out and thinning—like a dough that you roll out, getting wider but thinner? How do you explain the growth in Antarctic sea ice, while Arctic sea ice is declining? One explanation is that in the Southern Hemisphere the westerly winds are increasing, and through friction this drives the ice towards lower latitudes and the extent is getting a bit bigger. When the ice expands there is open water between ice floes, and it’s still cold enough in winter that ice freezes in the open patches. There are other physical processes that may be involved, such as the heavy snow cover that blankets the Antarctic sea ice. Sometimes the heavy snow load submerges the ice floe underwater so that the interface of ice and snow is actually below sea level, and seawater drains into the snow and freezes. That may be one process, but there are others that are not really resolved yet. We don’t yet have the answers to these questions, because there are very few measurements and you cannot deduce snow from satellite remote sensing data, yet. To find out, you have to go there and make measurements yourself. But winter expeditions are very rare. There are very few icebreakers that can actually go into the Antarctic winter into the sea ice. I have participated in four expeditions over the last 25 years: in 1989, 1992, 2006, and now 2013. What did you find on your latest expedition? Most of the data have yet to be analyzed. But from our early results, it looks like that the sea ice mass around Antarctica has increased slightly. Our measurements showed that the sea ice was more extensive, thicker and more densely packed as compared to our 1992 expedition, which was on the same track during the same season. We have also observed a continuous warming in the deep ocean, which indicates that the warming trend that we see over the last couple decades is continuing. This indicates that the ocean has taken up a large fraction of the heat due to the increased greenhouse effect. Why should people care what happens in the Arctic or in Antarctica? Both polar regions are pristine regions not affected by humans as much as lower latitudes. Still you see the effects of mankind there. Once the sea ice is gone in the Arctic, we have lost an entire ecosystem which is adapted to the sea ice. Sea ice is a porous medium, and in the small cavities, there is rich life—tiny algae, crabs, krill—and this ecosystem supports an entire food chain up to the polar bear, whales, penguins that you find depending on which pole you are looking at. 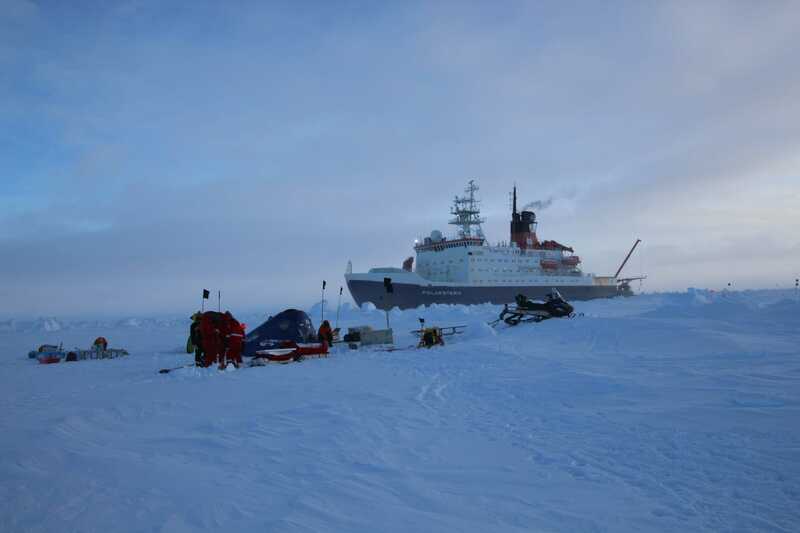 Do you think that IIASA has a role to play in polar research? IIASA is currently considering a new Arctic initiative, which could involve not just the climate system and the ecosystem but also the human system. Changes in the Arctic are already affecting people living at the coastlines. This coastline is made up of sand and ice, which is thawing. And as the sea ice is retreating, the coastline is now exposed to the increasing waves in the open ocean. Already now villages are already eaten up by the sea. At the same time, hunting grounds are changing for Inuit and other indigenous people who rely on sea ice for hunting. I think that’s something that IIASA can actually look at from a holistic view: human system, ecosystem, climate system. What is one thing you want people to know? Well often the poles, especially the Arctic, seem so far away that people don’t think that it is important for their lives. But if you have a polar storm coming from Svalbard, within two days it reaches the German coast, and within 10 days the entire Northern Hemisphere may be affected. The Arctic is only a few days away from us, and conditions that are changing in the Arctic will affect the climate conditions also in our region.